Sometimes you start out with an idea for a dish and you think it’s going to go over well. You’ve made variations of it dozens of times before and you’ve seen it be done over and over. 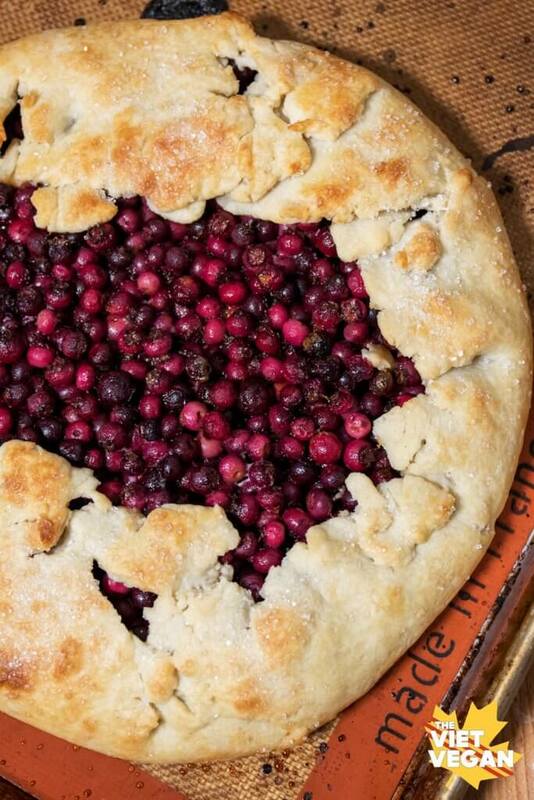 I’ve made many pies, tarts, and other pie-esque variations in my lifetime. I thought I could make a slab pie, but I grossly underestimated how much pie crust I needed and thus had to scrap my slab pie dreams and make this galette monstrosity instead. This wasn’t a super tried and true recipe, honestly I think I might try to cook the berries a little bit before adding them to the middle of the galette first, but this did turn out quite well, and if you don’t have a super hot oven like me, you might be able to bake your galette long enough so the berries cook down without burning the crust. If you’ve never had a Saskatoon berry before, they have many different names but they look like sort of reddish blueberries, despite being more related to apples than to blueberries. The berries I had were quite faint in flavour, but I’ve heard they can be absolutely delicious, so maybe I just got a flavourless crop that had to be amplified with lemon and sugar. Saskatoon berries, also called prairie berries, service berries, june berries or even pigeon berries are typically in season late June or early July have a light, almost almondy flavour with a light, floral flavour to them. They’re barely sweet, with a touch of acidity to them. At least, that’s how mine tasted. After doing some research, Saskatoon berries seem to ripen after they’re picked, so in retrospect maybe I could have let them sit on the counter and ripen a bit, but too little too late. In a mixing bowl, combine Saskatoon berries, sugar, flour/cornstarch, lemon zest and lemon juice. Stir until berries are evenly coated. Roll out your dough into a round-ish shape to about 1/4 inch thickness. Add the berry mixture into the centre and add 1 tsp dots of vegan butter across the berry mixture. This will melt and become part of the sauce. 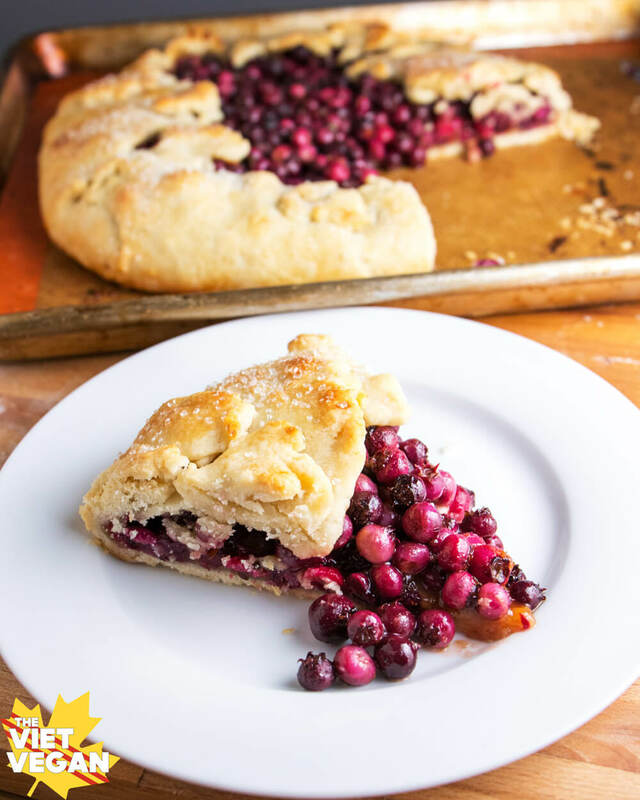 Fold up the edges of the dough to contain all the berries, it'll look rustic and that's the point. 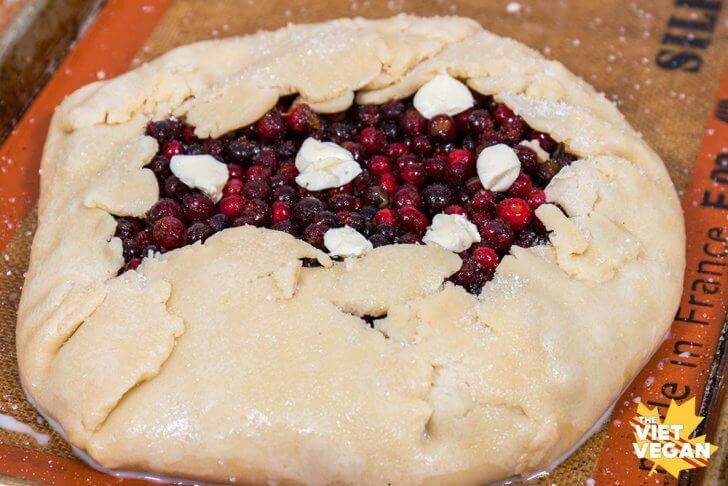 Seal up any cracks you see with any pie dough scraps you have (or just tear from the edges you pulled up). Brush soy milk or aquafaba all along the outsides of the crust and sprinkle with coarse sugar. Bake for 30 minutes, or until the crust is nice and golden brown. Let cool slightly before serving, and serve with vanilla soy ice cream for extra deliciousness!